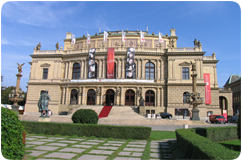 Classical Music concerts in Prague take place in the afternoons and evenings in beautiful concert halls, churches and chapels. All of them can be found in the centre of Prague. 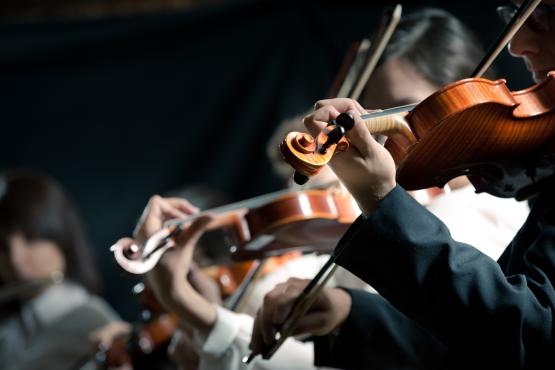 Our tip: go when philharmonic orchestra plays. We can show you some good restaurants nearby to go before or after. Our tip: combine the concert with a dinner in its French restaurant, typival Czech cuisine restaurant or in Municipal cafe. 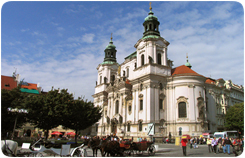 St. Francis of Assisi church – right next to Charles Bridge. Lovely little church. Our tip: take a walk across Charles Bridge in the evening just after the concert. 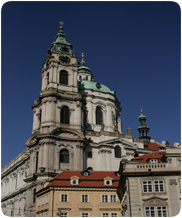 St. Nicolas church in Old Town – a big variety of classical music concerts in Prague and times. Our tip: One of our tours during the day, afternoon at leisure and concert before or after a dinner. 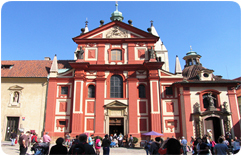 Basilika of St. George – in the middle of Prague Castle. Small but good. 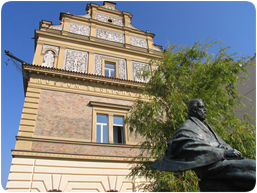 Our tip: Prague Castle tour in the morning followed with the concert or a visit of Lobkowitz Museum. St. James church – famous for its organ concerts. Excellent acoustic. Rarely open. Our tip: Visit with us on one of our tours and find out about its current program. St. Nicolas church in Little Town – A splendid building with an overhelming interior. Mozart himself played an organ in this church. Concerts on daily basis. 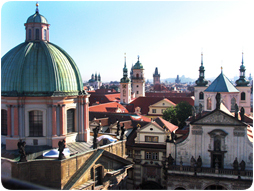 Our tip: Concert in the evening followed with a walk around the area and across Charles Bridge. Music in the Czech Republic has more than 1000 years old tradition originated in sacred music, then in a traditional folk music of Bohemia, Moravia and Silesia and finally in a high-culture classical music tradition. Especially the classical music was the art that brought fame to Bohemia and Moravia while the Czech lands were known all over Europe as an academy of music. Czech composers and musicians were admired and welcomed for their qualities and passion for music. Since the 18th century music lessons have been a firm part of a general educational system. This fact increased in times of communism where so called Art Schools were established in every small town. The Art Schools were free of charge and therefore affordable for all classes of society. Children could visit them after regular school hours or in the evenings and could learn any instrument they were interested and talented in. Therefore we can say that Czech people in general can play and understand music while concerning in the past every town or even a village throughout the country has some remarkable music history, which resulted in a big variety of festivals, concerts and other musical events. Among the most famous Czech composers of classical music were Bedrich Smetana, Antonin Dvorak, Bohuslav Martinu, Leos Janacek, Josef Mysliveček or Gustav Mahler. 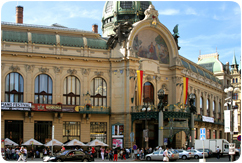 The most famous festival of classical music in the Czech Republic is an international festival Prague Spring, that has been annually organized since 1946. 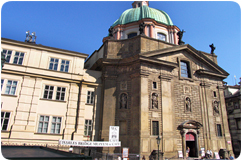 A number of churches and chapels in Prague organize classical music concerts. The programs vary every day. Since the Middle Ages the Organ Music has been connected with sacred music that served the needs of churches and monasteries. 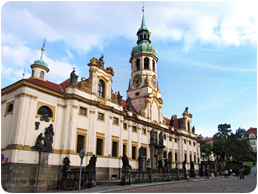 Religious orders, monasteries and priests have always had a huge impact on the development of music itself, musical life and education in all the history of the Czech Nation. By the 17th and 18th century, their impact had become especially pronounced. 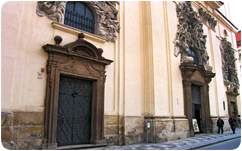 A number of churches and chapels in Prague organize Organ concerts. These programs vary every day.